Click the arrow to hear Dan play! When I look at my collection of music notebooks, I realize that today's technology has sterilized the way I catalog my musical scores. Word processing and digital music files have made the computer the centerpiece for storage of all the music I've encountered in the past 10 years. 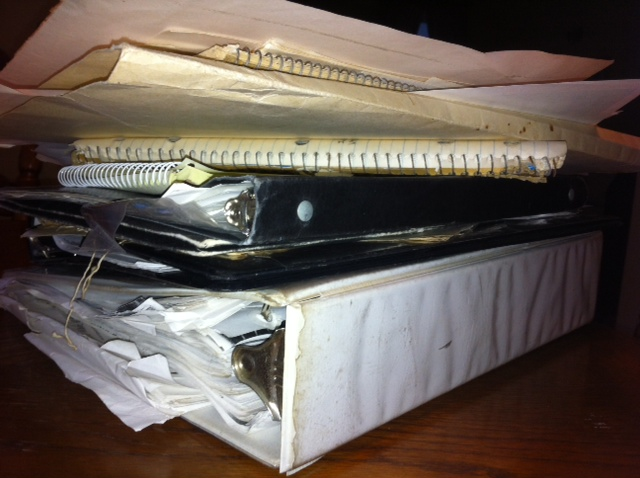 Yet I still hang on to my earlier notebooks and binders - each representing a different phase of my thirty years of performance in bands and as a soloist piano player. Recently, I was asked to sit-in at the piano with a band that I don’t regularly play with. I was given a song list for the performance, but when you play with serious musicians playing rock music, there is an organic component to the gig. You have to be ready for anything. 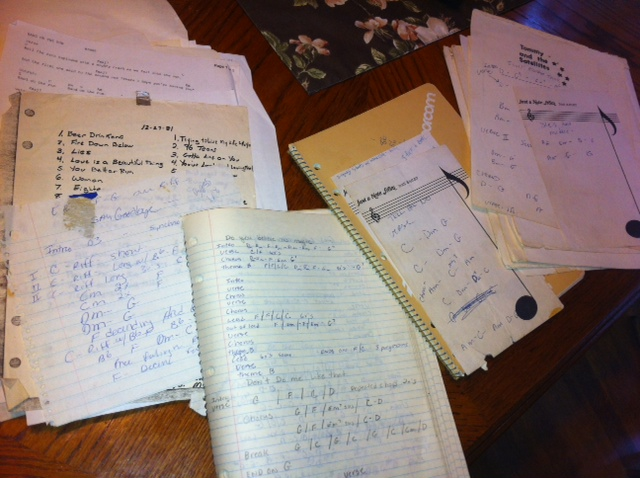 I turned to my notebooks from my earliest band days in the very early 80’s. 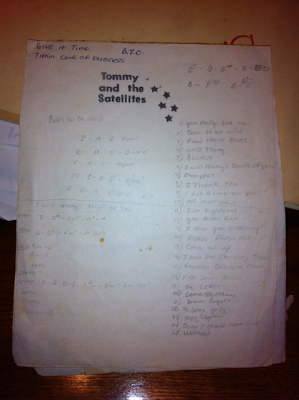 Created before I had a computer, my collection of rock songs from the 50’s, 60’s and 70’s were still legible after many moves and years in basements. 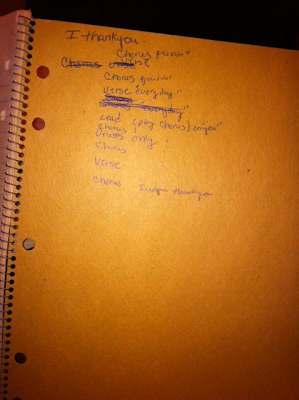 The music is almost entirely hand-written without lyrics. 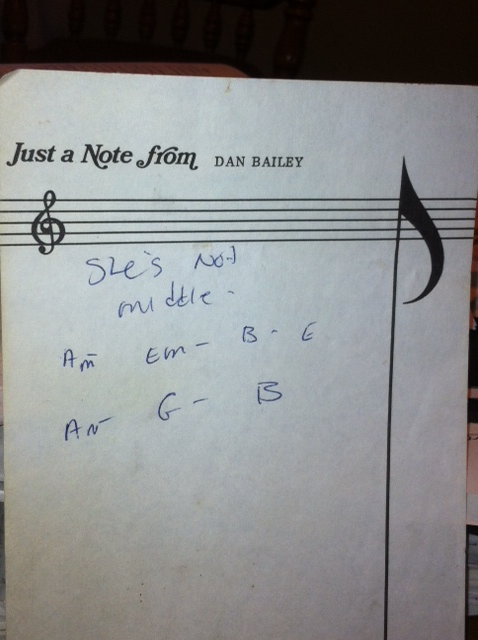 Apparently all I needed back then was a road map of the song’s arrangement and the chords that went with each song. If there was a signature riff or melody line that the keyboardist played then that was included too. 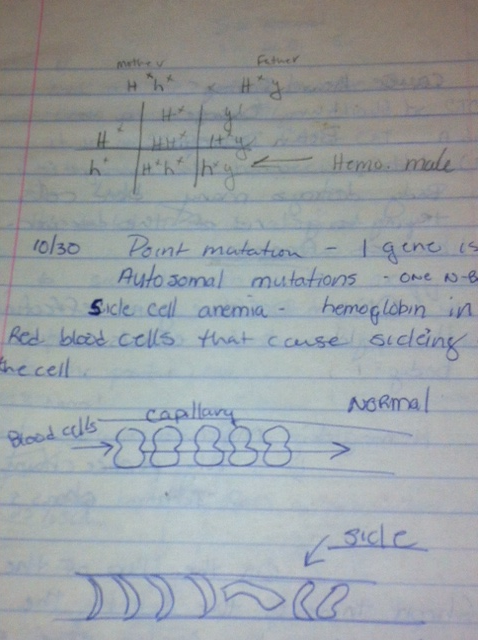 What I find interesting is the type of notebooks I was using at the time. One set of notes is on stationery my girlfriend (now my wife Becky) made for me in her high school Graphic Arts class. It has the name of my first real band on it with stars. This note-pad transports me back to a time in my life that I really loved: a new girlfriend and band, playing lots of gigs with guys who are still my friends after 30 years. Another notebook from that era was launched during my college years at Brockport. It is easy to see the dichotomy going on in my life at that time because the notebook doubled as my biology class notes and my band music notes. I can safely say that while I was in class my mind was on more than cell function and amino acids, but while I was with the band my thoughts never drifted to biology. The notebook faithfully covered both for me. I never took these notes on gigs with me because my memory was pretty good back then. I could remember fifty songs, representing 4 hours of music! That ability has mostly gone away for me these days. Now they make up my reference library and I go back to them often even though looking them up on the internet is easy. My new music system has more layers and each song is much more detailed. I have computer copies of every song I perform. Every song is saved on the computer where editing is easier and printing them produces an easy-to-read version. Now I take the collection of hard copies to every performance in two very large binders because my band can play from a list of nearly 200 songs at any gig. My memory just isn’t that good any more! These notebooks are my lifelines now. I have one special notebook for material I have created and none of it has been transferred to my computer. Most instrumental compositions have a simple outline with notations that remind me how I played a certain chord or musical figure. My pieces leave room for a great deal of improvisation within the framework of chords. 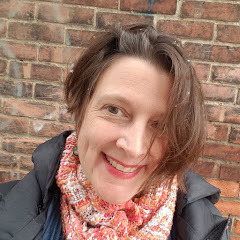 I have neither the time nor the desire to detail everything about the song in my notebook because it robs me of the spontaneity I rely on to create something interesting and fun in that space during a performance. I think this is the true purpose I’ve assigned to my notebooks: to hold the framework of a musical expedition that I am undertaking. I don’t use the notes in these books in any way other than for quick reference or to jog my memory. 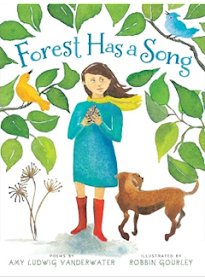 Most of what’s on the pages allows me to unlock the rest of the song that’s stored in my head. When spurred by the notes, the details come back to me with enough room to bring it to life through improvisation. 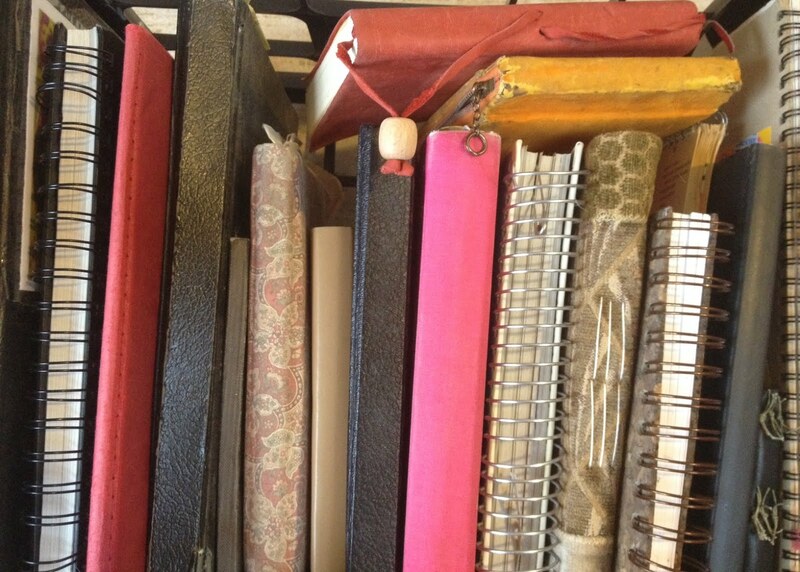 The reason I have hung on to my oldest notebooks, and never transferred them to my computer, is because they represent more than just musical reference material. They represent the framework of a very happy epoch of my life and bring back feelings and memories in a rich and powerful way. Recollections being what they are I know that I might be “improvising” some of the details of those times, but I don’t think any of the emotions and feelings are improvised. They feel so real to me. Dan Bailey has played the piano since he was 8 years old. He and his brothers were given a choice at that age between piano lessons and ballet, which was his father's way of making an offer the boys couldn't refuse. 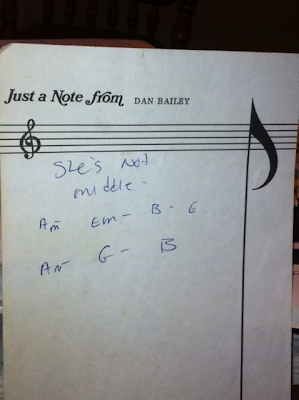 Dan has spent the past 45 years playing, writing and recording music. His 2002 release of solo work, 'Piano or Ballet' paid tribute to that early decision. Dan had played in a wide range of musical settings and currently performs as part of the fun - time duo Nigel and Winston. Over the past 11 years Dan has taught piano to many students of all ages and requires all of them to have a dedicated piano notebook at every lesson! It's a lovely piece to contemplate although I don't play an instrument anymore, but my brother & his wife do-I'll share with them! I think what we do with paper, slowly, deliberately, sometimes quickly holds more than the ink on the paper & you just wrote that sentiment so well: "They represent the framework of a very happy epoch of my life and bring back feelings and memories in a rich and powerful way." 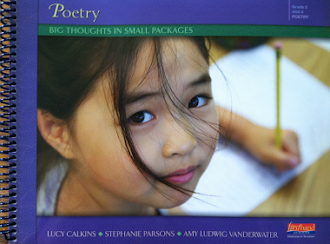 I loved hearing about the connection to your notebooks! Dan, I like how notebooks are there to jog memory. It is a tip of a musical iceberg that lies within. I use cartoon books the same way. The notes would not mean anything to anyone but me, a sort of special inner code. Nice. 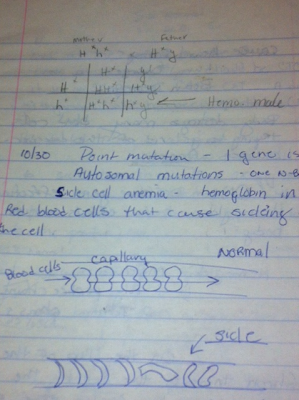 Now I'm feeling the itch to go to the basement and re-read my notebooks from high school and college. Just to remember that who I was then is who I am now, too! 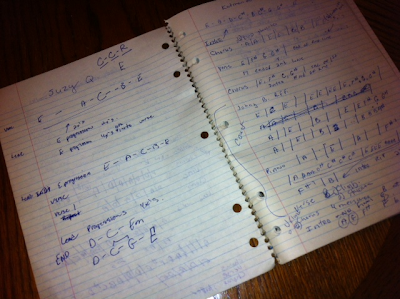 So fun to see how a musician uses notebooks...and still feels the connection to paper/pencil despite the digital age!